Dr. Alvarado gave me hope when I wasn't sure what was going to happen to me. 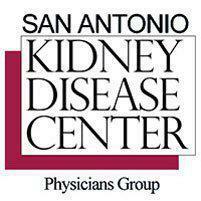 Through his recommendations of diet and exercise, I was able to nearly overcome advancing kidney disease. He is absolutely one of the best Doctors I have ever encountered. His enthusiasm is infectious and his patience and ability to listen is second to none. Highly recommended. Dr. Alves has always been outstanding from the get go. Very outstanding in being 100% in behind me for my care to the point of helping me taken off dialysis. Assistants in office, especially Yesenia have been excellent. Every person in the office is wonderful! Especially Dr. Alvarado! I received excellent care by everyone. Always very professional and caring. I had an extremely positive experience at the SAKDC in New Braunfels. The office staff and nurses were very friendly and efficient. I was promptly seen with little to no wait. Dr. Alvarado was very, very welcoming and friendly taking time to talk, laugh, and get to know me. He listened carefully as I explained the history of my kidney issues. His insight and recommendations showed great competence and put me at ease. Under Dr Alvarado’s care, I feel I’m receiving the best care possible. Thank you Dr. Alvarado and staff. Very good , as always. Dr Gouge is a very good doctor.He is personable, knowledgeable and compassionate with a sweet bedside manner. He and Dr Petroff are the only doctors that I have had who have that quality. I am fortunate to have him as my doctor. Dr. Mac is an excellent physician and always has her patients well being at heart! Dr. Glanton was great. The office staff was unorganized and the person that answered main phone in San Antonio not very helpful. Excellent physician. Great staff and medical assistants. Dr. JOHNSON EXPLAINS EVERYTHING TO YOU. CAN ASK AS MANY QUESTIONS and SHE WILL ANSWER ALL OF THEM. SHE REALLY CARES ABOUT HER PATIENTS.